Nearly 200 expressions of interest have been received ahead of the launch of a public ideas competition to generate ideas for a Hammersmith Highline on a disused railway viaduct. Organised by Hammersmith BID and local architect group West London Link, the competition aims to forge ideas that could transform the 300m elevated stretch of viaduct into an attraction similar to New York City’s High Line. No idea is off the table with the judges looking for schemes that are practical and could be delivered on the site, which sits between existing railway lines that run adjacent to King Street, as well as more offbeat ideas. 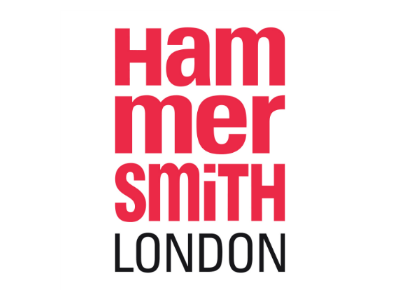 Hammersmith BID said the competition, which officially opens on Monday, April 15, had struck a chord with the public. Nearly 200 expressions of interest have been received including architects and professionals working in the built environment sector, as well as a large number of community groups with no prior design experience. The competition has also attracted international interest. captured the imagination of the public, particularly with a number of local community groups getting involved. Entrants will receive their competition packs today (Monday 15 April) ahead of a site visit on Wednesday 17 April where they will be able to view the existing site and assess access issues. The scope of the site to be considered includes the adjoining Kings Mall retail complex and a part of King Street, the busy high street of central Hammersmith. The Highline project is intended to stimulate creative thinking not only about a derelict railway site, but, as importantly, to inspire ideas about the regeneration of the High Street and the activities that happen on and around it. will be awarded to the winners. Entries will then go on display at an exhibition in Kings Mall from June 22 to 30 as part of the Hammersmith Summer Festival and will also be shown digitally on the Big Screen in Lyric Square. A separate competition for local schools with prizes donated by Medidata will take place in early June and the entries will form part of the exhibition at Kings Mall.